Once upon a time in Mumbai… When the sharpest engineering minds gossiped with the Mystic! 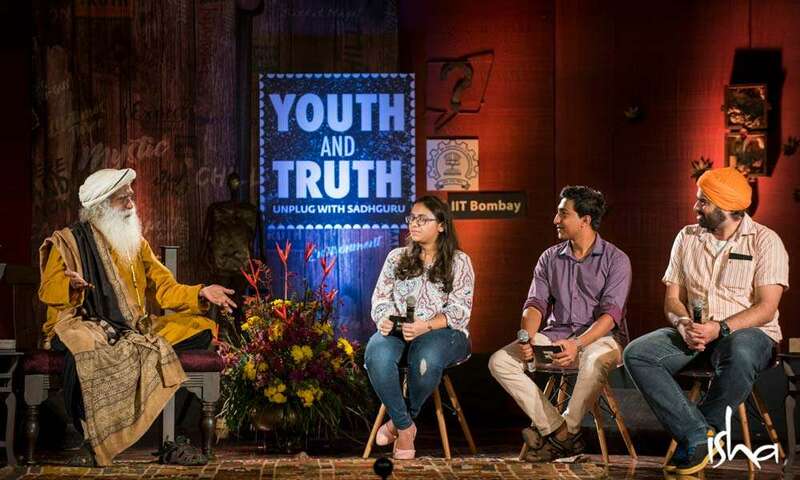 IIT Bombay, a premier engineering institute of the country, with its sprawling green campus in the heart of the city, was one of the hosts of Youth and Truth’s Mumbai chapter. 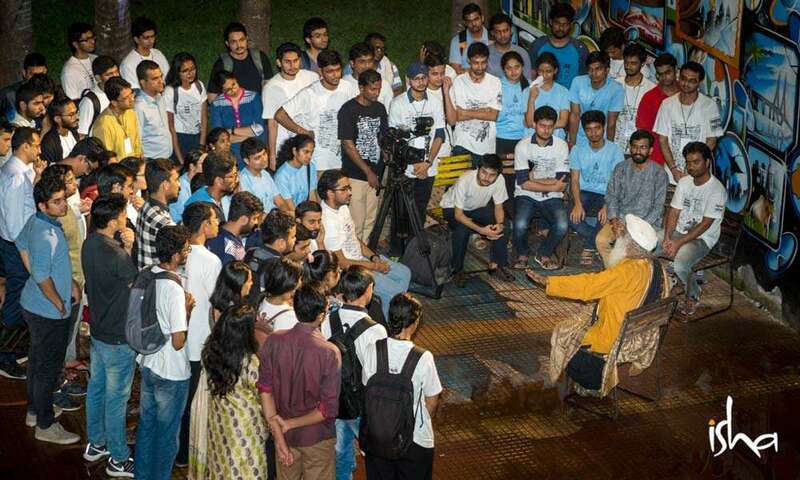 Given the humid weather, the long queue was testimony of the students’ keenness to explore the truth with Sadhguru. Students thronged outside the convocation hall by early afternoon while the event was supposed to start only at 6 pm. Before the start of the event, the campus was abuzz with activity. Volunteers as usual could be seen doing the rounds ensuring the event happens smoothly. Students, faculty and even parents were eagerly awaiting Sadhguru’s arrival with equal excitement. Gearing to Gossip with the Mystic? Another student, an excited guest on campus, who “wouldn’t want to miss the event for anything,” said that “Sadhguru indirectly answers questions, which we are very scared to ask our parents.” Students who had never heard of Sadhguru before also showed up to hear him talk and revel in the mystic’s wisdom. To prepare and familiarise the student community with the event, flash mobs were being held on IIT campus a few weeks prior to the event and the response was fabulous. 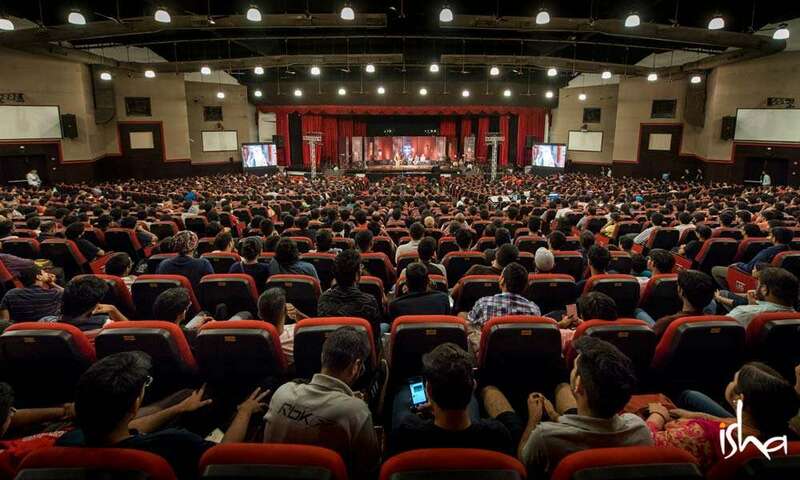 It was no surprise then that the 1800-seater convocation hall was packed to capacity and spilling over with people. Sounds of Isha brought everyone to their feet with the rendition of Kabira “Jab Paida Hue, Toh Jag Hasa Hum Roye.” As the students took to the floor, Sadhguru made his way into the hall amidst thunderous applause. This was followed by a melodious performance by Mohit Chauhan and Isha Samskriti students who wowed everyone with their martial arts skills. 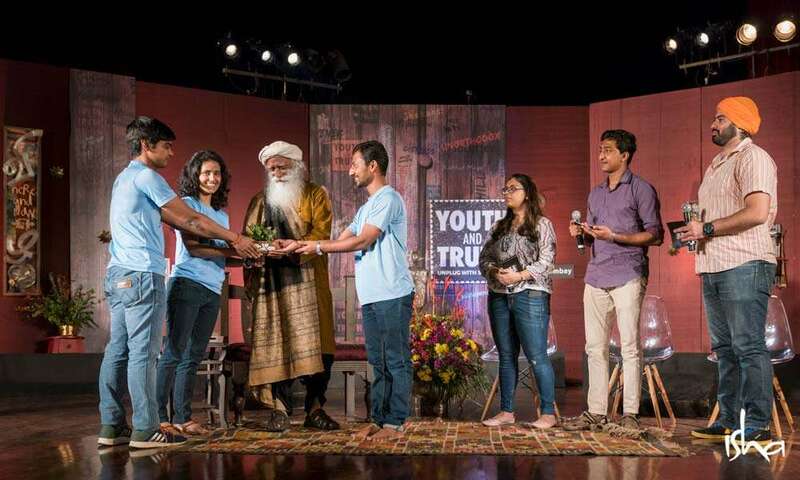 After the moderators took to the stage and Sadhguru set the context for the event, the zealous student body asked a wide variety of questions on clarity, balance, dealing with crossroads in life, making the right choices, consciousness, and many more subjects. Among these topics, Sadhguru offered guidance on how crucial it is to lead a profound life, how joy and misery is within us and essentially a state of mind, and most critically, on how time is just swishing by. The audience spanned different age groups and, yet, they all connected with Sadhguru’s multi-dimensional personality. As the evening unfolded, they experienced the entire spectrum of his presence ranging from his humor, honesty, wit, wisdom and warmth. The receptive students at IIT-B, longing for more interaction with the master, swarmed him, unwilling to let him go by the end of the event.